Six original co-owners in 2007: Aaron Truman, Tim Weeks, Clinton Garner, Ian Mitchell, Rachel Dominguez-Benner, and Ben “Sauce” Applebaum. The small shop at 2324 SE Division opened in 2007 when six friends came together to share ownership. 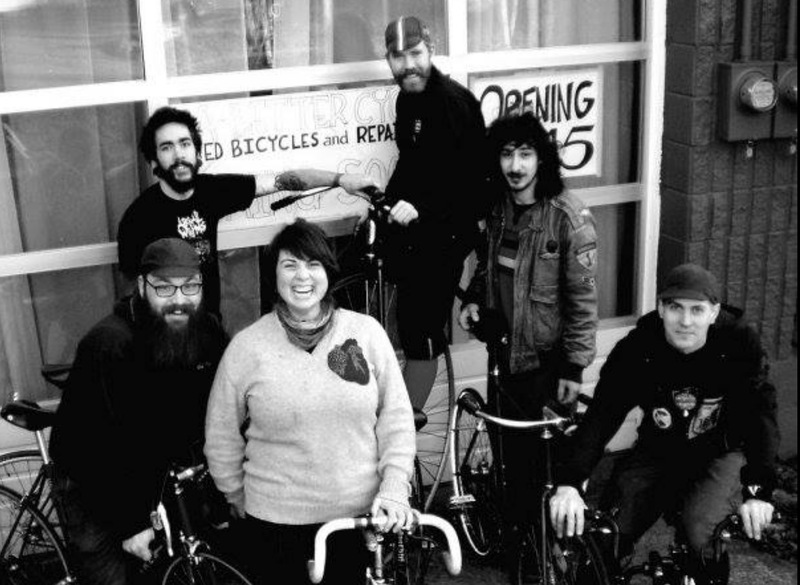 The shop has remained worker-owned and has been run as a collective ever since. Dakis added that in addition to the financial pinch, it was just time to move on. She pointed to the “vast” neighborhood change in the past decade. 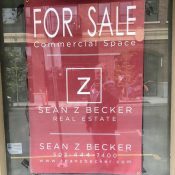 This part of southeast has seen transformational commercial and residential real estate development, with thousands of new residents looking for a slice of the famous (or infamous, depending on your values) Portland lifestyle. Unfortunately for Dakis and her fellow workers, that lifestyle didn’t include shopping at a place like A Better Cycle. “It seems there aren’t as many people nearby looking for the kind of business that we are,” she said. Since A Better Cycle has been open, inner southeast Portland has experienced an exodus of sorts. A place that used to house many lower-income activists, artists, and entrepreneurs has lost its affordability. People have moved further north and east, or even out of the city altogether. As for the future of the shop, the plan is to continue taking service orders until May 1st. All new stock is currently 20% off and you can expect deeper discounts as the days go by. 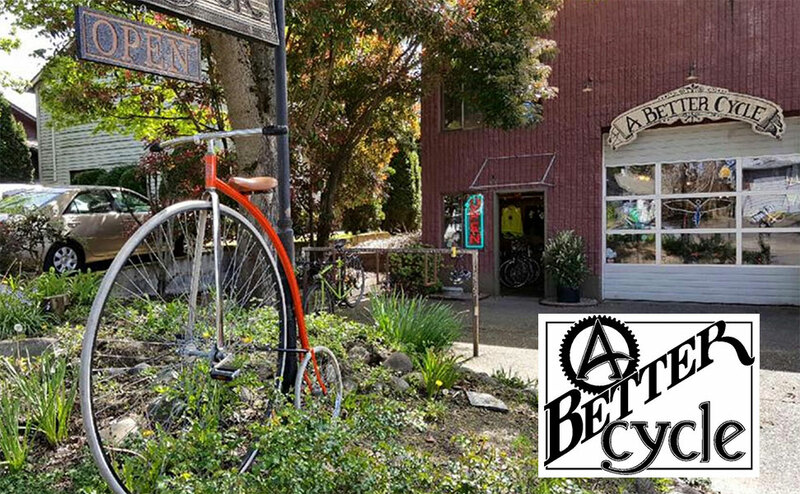 Dakis says if you’re looking for cool older frames and parts, new rims and hubs (that were stocked for wheelbuilding), and other bike shop supplies, roll on over and take a look. The shop is expected to close sometime next month. Thank you Christine and all the workers at A Better Cycle for all your service and dedication to our community over the years! I used to live practically across the street from ABC. Now I live a few blocks away but still go there for everything. When I went in today I was devastated to see the sign, though I completely understand the reasoning. When the frame on my bike cracked, not only did ABC help me migrate all the parts of my bike to a new frame, but they actually *found a new frame for me* at a yard sale near my house and suggested I head over and get it. And now I’m a proud owner of a blue-and-green Schwinn/Univega frankenstein’s monster. I love it. Folks seem to have great things to say about City Bikes, so I guess I’ll be checking that out! Even at the bike valet, while our bike parking numbers continue to go up our repairs declined a bit from the previous years. One thing I have wondered about is whether the parts sold on bikes just last longer? Disc brakes do not need to be replaced as often…. It is also ironic that one of the best ways to build a culture around bikes is through local bike shops. As new people are moving in we need that culture even more but the bike shops are not making enough money. I have always thought a city financed local bike share service that is managed by local bike shops could be helpful especially if the city paid the shops well. New residents could rent out a bike and the gear for a month at a time for free. That would be a lot better (for employment, local economy, community) than the city suggesting subsidizing Nike by giving them exclusive advertising rights to the bike share system. It isn’t just about $$. Wait… you think that Nike’s sponsorship of the bikeshare system is a city subsidy for Nike? You are free to out-bid them next time around. Get that subsidy, bro! Nike obviously thought it was a good deal for them—a worthwhile way to spend their advertising dollars in a fashion that they must have assumed gives them better exposure than spending those dollars somewhere else. As for your second point, please read Aaron’s post yesterday deploring the unfortunate habit of some individuals here to deploy this tactic. It’s the same as “if you don’t vote you can’t complain”. I implore you to find a source stating that corporate sponsorships are a form of public subsidy. I will wait. Has anyone tabulated the hundreds (thousands?) of hours racked up by PBOT staff courting corporate sponsors? It took years. Those are public dollars. Not sure what the mystery is here. I’m not hung up on it being called a subsidy, but I felt the shock expressed above by Hess Mills at the prospect of helping neighborhood bike shops with public dollars called for some perspective. So looking for a corporate sponsor IE: give us money to support a programe we can’t support ourselves, is subsidising the corporate sponsor. Would there be bike share without the corporate sponsorship? Than kind of pretzel logic is interesting. Cirque de Soleil is looking for a contortionist. That is of course how the City chose to frame the matter. Other ways are equally conceivable. (B) fund it outright, spend the money that went to courting a sponsor instead on the bikes themselves (at whatever level we choose to fund). How we prioritize the spending of tax dollars is a set of political choices, and whether, and for what we turn to corporate sponsors is as well. What you folks who are heaping scorn on my comments about this seem to be missing is that Nike did not do this out of the goodness of its corporate heart, but because it felt it was a good investment. There is no reason we can’t look at this from a different angle and appreciate that the public exposure this agreement btw Nike and the City offers Nike was worth the price tag. All the apologists who would have us believe this is proof of Nike’s largesse heard right here are arguably proof of this strategy. Nike pays $10million for advertising by branding bike share for five years. And the Oregon legislature provided a tax subsidy to Nike worth $2 billion over the next thirty years. You can (and probably will) argue that these figures have nothing to do with each other, but the fact is that the taxes Nike should be paying and would be paying if this country were not determined to prostrate itself before corporations every chance they get are vastly greater (33x to be specific) than the amount they contributed to Portland’s bikeshare system. I’m glad you pointed out that there is absolutely no connection between those two things, and saved me the time. I’m no fan of Nike. Our state should absolutely not be giving them tax breaks. City employee time spent seeking corporate sponsors for bikeshare is a subsidy for bikeshare. If the City does the math and notices that this amount is more than the sponsorship itself (highly unlikely), then the city should not seek a sponsor. Nike pays $2million/year for bikeshare rights (for 5 years). You tell me. Who is subsidizing who? City Bikes (another cooperative) is more on my route, and I would miss them very much if the same fate were to befall them. I think this is a big part of it. There is a lot of competition around there. For me it was mostly City Bikes and Universal are open until 7. And if I commute by bike, I am not usually back on the east side before 6. Double whammy with Mirador having closed two blocks down. 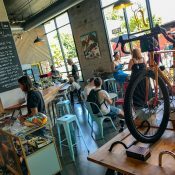 The question I keep asking myself is, ” when did the pool of people moving to Portland go to Heck, and why.” We once had good and noble cyclists and citizens like the editor and owner of this outstanding blog, but now I am not so sure. Now the quality of folks we have moving in seems to be illustrated by a place I pass each day on my ride to work. It is a fitness club in NW Portland that has a small parking lot, and the members will park in the middle of the adjoining street waiting for a spot to open up in the parking lot so they can park close to the front door and make it in for their workout without having to exercise too much getting there. Yes , I know these are mostly newcomers because of the license plates I see as I swerve around them as they block the street . I know it is not politically correct to point this out, but darn someone has to. It’s not just “more people” in Portland. There are a lot of factors at play. The rise of Youtube, with it’s instantly accessible videos on how to work on your own bike, combined with cheaper online retailers for parts certainly plays a big factor. And let’s face it there are still a LOT of bike shops in Portland. There is tough competition both from other shops and from DIY. 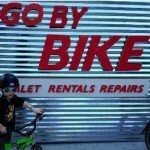 As Kiel points out, bikes might be lasting longer, and in general better quality bikes are cheaper these days. 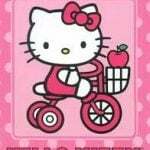 So even if bikes do start to go riders may be more interested in just upgrading or replacing the whole bike rather than doing constant repairs. But there really are a lot more car-centric folks moving here, and turning Portland bit by bit into a car-centric city. A Better Cycle got me back on the road lickety split last summer when I managed to strip the threads on my seatpost collar. They were a cool shop, sorry to see them go. You hit the nail on the head JF. It has been the arrival of the box people. They live in a box, shop from a box, get food from a box, ride to work in a box, and work in a box where they go to meetings and brainstorm how they can all think outside the box. Sounds like you have neighbors with different values than you. Diversity! A lot of people buy really large houses because they never leave them. They don’t use parks, or other public resources. I’m not sure if it’s anti-social behavior, or just a fear of inclement weather. Maybe they got sick of their kids finding drug needles and human feces at their local park? It’s funny, when I moved to Portland 9 years ago, none of our neighbors actually came over to meet us and introduce themselves. It’s very odd that in today’s society there is this expectation that the new people to the area should be the ones to go out of their way to welcome themselves to the neighborhood? Maybe you should extend the olive branch and have them over for dinner and try to rub a little bit of “old Portland” onto them? In an era when the expectation is that you ask permission before calling on the phone, actually showing up at someone’s door unannounced, even to offer a welcome, may seem awkward to some. We, as a society, have withdrawn in some important ways. Were you a renter or a buyer? That makes a big difference. Buyer, and a few of the neighbors were renters. There also was a language barrier with a few of them. We only really interacted much with the guy across the street who moved in (bought) his house about the same time we did. How could they pass up such friendly overtures from their neighbor who… apparently watches their mail and judges them for it? I get what you’re going for here, but I think it’s pretty crappy to make assumptions about people based on what you see being delivered to their house. You don’t know that they don’t have a disability, or mental health issues, or crippling social anxiety. Sure, it’s nice when neighbors are friendly; maybe you could start that ball rolling by not being so critical of these people and their house, mail, and perceived friendliness. It is also a numbers game…the market has been over saturated with really high number (bike commuters per bike shop) of good and great bike shops…a similar situation for brew pubs, coffee shops these days. The last time I looked  it was something like 70 bike shops (so perhaps now 60 now) which was like a ratio of ~7000 bike commuters per IBD shop at the peak bike commuter…vs. ~70,000:1 in Vancouver WA. I’m having a bit of trouble with your arithmetic or data. According to the ACS, there were 17500 bike commuters in 2008 and 22500 in 2017 (most recent data). 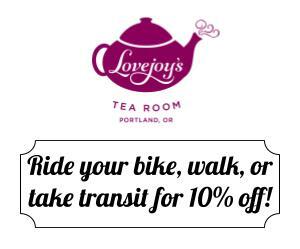 Thus, if there were 70 bike shops in ’08 and 60 now, PDX has changed its commuter:shop ratio from 250 commuters/shop to 375 commuters/shop. Ive heard the bike shop count is hovering around 90. Anyone want to count? We’re into that negative spiral. I want parts, but some are a bit weird and can’t reasonably be stocked at a small shop. This forces me to either go on-line for those or to place an order at the shop and pay more for the privilege of waiting longer. While I’m on-line, I will probably buy some other items that might be at my LBS. That makes the turnover for those less weird parts that much slower at my LBS, so it’s got to decide if it can keep stocking them in the face of things going obsolete. Wash, rinse, repeat. Until my former LBS closed, I’d just roll by and order my weird stuff because I really didn’t want to lose the shop. Obviously, there weren’t enough people thinking that way and now I’m part of that problem because I don’t feel attached to any of the other shops I have tried since my fav closed. And e-commerce too…I remember when I could only buy a [handbuilt] front wheel with a dynamo hub from a local IBD shop (like City Bikes)…and e-commerce [even mail/ phone commerce] did not carry the depth of quality bike commuter products too. The new customer is “not me” rummaging through used/ NOS parts bins from the 60’s/80s…since the post mountain bike era was not always euro commuter friendly in gear selection…but its my cycling neighbor who is a master Amazon Prime customer ordering everything on-line, no matter how small or frequent the order is. When I began working at Citybikes back in 1995, a great number of customers were not only looking for a bargain by shopping used, they also were more interested in learning how to do their own repairs. As the inner eastside has gentrified, the number of new arrivals still interested in getting their hands dirty seems to have fallen off. I believe the biggest threat to small brick-and-mortar shops focusing on used parts and repairs continues to be the online presence, which not only encourages folks to shop for price first, but also to consider cheaper bikes as throw-away things when they stop working. Why spend $250 in repairs on a bike you paid 450 for when you can just go out and get another $450 bike? 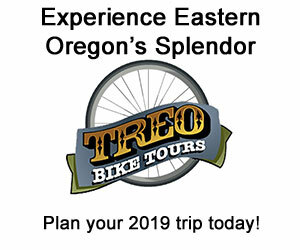 No ill will against the current bike retail scene in Portland, but I feel more and more that I retired from the industry just in time to avoid the worst of the evolution. I hope that things will turn around, but the only way I see that happening is for cars to become much more expensive to own and operate, and for shops to continue to service older bikes, instead of catering too exclusively to the throw-away culture that has really become a part of the bike industry in the last decade. I think Citybikes is safe for awhile yet. I hope so. Aloha, Beth…good to read you. The wheel you built me at City Bikes is still trucking on!! Todd — glad to hear it! For ideological reasons I would greatly prefer to use City Bikes or other bonafide worker cooperatives but I have not been able to find a coop/collective that services hydraulic disc brakes. Ironically, my main ride is a 13 year old city bike with a hydraulics that was manufactured by one of the largest cooperatives in the world — Mondragon. 2. It’s easy to miss this shop due to it’s “flag lot” location. I will be sorry to see ABC go; they were a cooperative neighbor and have helped me more times than I can count. The changes we are seeing in Portland are not unique to Portland. What is unique is the concentration of bike repair shops west of 82nd Ave. There are 240,000 people living between 82nd ave and the Gresham border, without any bike shop to service them. Outer Rim is the only one left. Performance went bankrupt and closed down their Mall 205 location. I bought an existing shop (WTF Bikes is now TomCat Bikes), because the commercial rents + build out + appropriate inventory + security was insane to consider. Lease rates aren’t any cheaper east of 82nd than they are closer in. I think there is some validity for local, small business to have access to the same programs and deals that bigger corporations heavily lobby for. I don’t live in that area and had never been to the shop, but sad to hear about another small neighborhood shop closing it’s doors. It doesn’t seem the recent hordes from the C-word state value the same things. Let’s be careful about scapegoating all the problems to the “newcomers.” There are lots of changes and trends going on both locally and nationally that may impact the success of a small bike shop. Just blaming outsiders coming in and ruining the neighborhood with absolutely no evidence (do they own more cars? Do they shop more than long term residents online?) is adangerous and counterproductive to building a better community. or anyone who isn’t Progressive. Well, according to DMV records, the Metro area (Multnomah, Washington and Clackamas Counties) has added a whopping 148,176 cars in the past 5 years. That’s enough cars to fill 465 football fields, all crowded onto infrastructure designed to accommodate half as many. According to the US Census American Community Survey, Oregon’s percentage of car-free households dropped by a full percentage point between 2016 and 2017. I think some of this is newcomers who would rather have their liver eaten by an eagle than leave their car at home and some of it is people who used to get around without a car who have stopped because it is becoming so unpleasant (and dangerous) to walk and bike. I think we are also seeing an influx of folks who have a car but only want it for the weekends. The percentage of drive-alone commuters actually declined between 2010 and 2016, although the total number of people driving obviously grew as the number of total people grew. This is what we call a win-win. Nike gets some advertising, and Portland gets a bike share program. You are welcome to consider that a win-win. Sorry for any confusion — I was referring to Nike’s sponsorship of our bike share program. I’m not confused. Perhaps you are? How the heck did biketown get thrown under the bus here? It’s a corporation with a Hi-Viz color. I am sorry to hear about this. ABC has provided me with an elusive part on more than one occasion, and they will be missed. 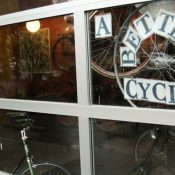 However, I hope ABC’s customers will patronize another fine shop in the neighborhood that serves a similar niche: Seven Corners Cycles. It’s close by and you will not find better service anywhere! I work at a local bike shop and have chosen the bike industry as a life long career. I’m sorry to see another local shop close it’s doors. Please support local bike shops and industry as much as possible. 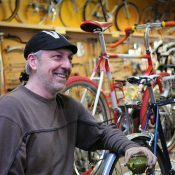 We local bike shops need your help. Please come and support us any way you can. Damn, always sad to see a bike shop close. Sheds an interesting light into that side of Portland. I don’t think there are unusual people moving to Portland. They’re mostly ordinary Americans, and most ordinary Americans are car people who drive every day and see bikes as toys or nuisances. Simple as that. One can always go to a bike shop, check what they’ve got there, then have them order any parts you need and they don’t stock. One is rarely forced to buy bike parts online. I refuse to buy some items online in an effort to support local brick and mortars, but this is considered an antiquated philosophy. I know young folks who dont even know such places exist in their own neighborhoods. Probably because they drive everywhere they go. Sad to see so much of the character being drained from the city, but this has been the norm since at least 2008 / 2009, from what I can tell. I don’t see why or how this trend will or can be reversed.